I know you must be wondering about the #TheChosenOnes hashtag that has been doing rounds on my twitter and Instagram account. 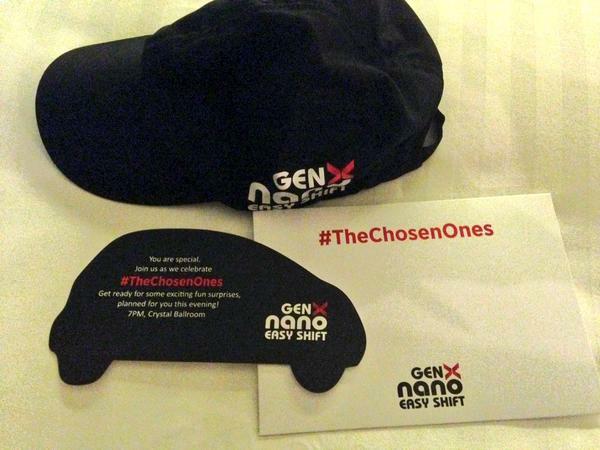 Well, #TheChosenOnes are the twenty lucky families who bought the GenXNano Car and were selected by a contest and around fifteen bloggers from all across India who were part of this event organized by Tata Motors to witness the rolling out of the brand new GenXNano at the Tata Motors Sanand Plant. 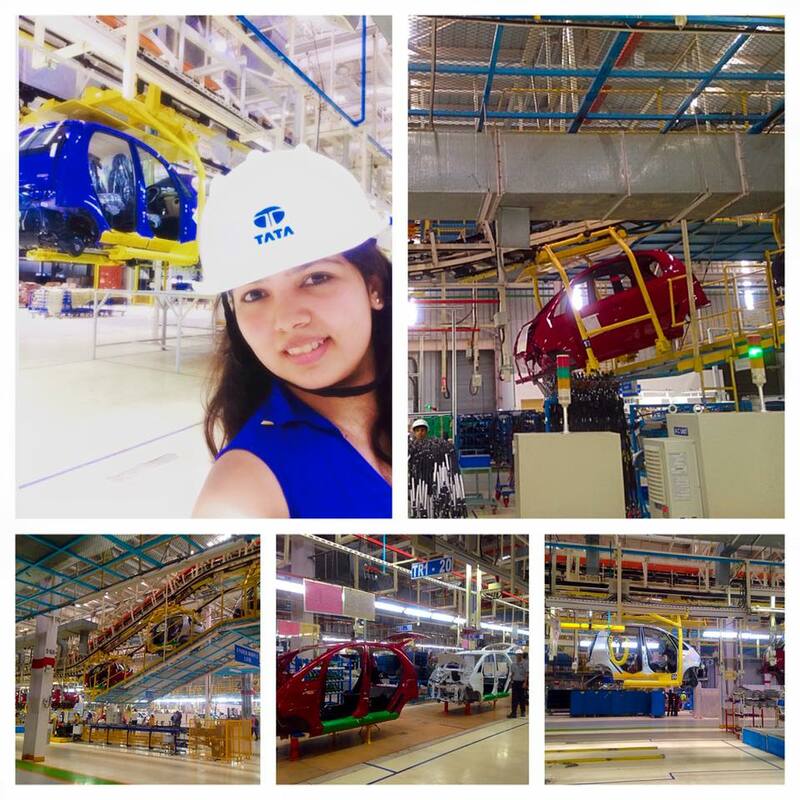 I had never fathomed about visiting a car manufacturing plant in my entire life. Sam was pretty worked up about the trip but since he had some important meetings he could not make it and I grabbed the opportunity to witness this event. I was accompanied by three other bloggers Indrani, Vidya, and Amar from Bengaluru. We were flying with Indigo and it was an early morning flight, a two hours non-stop flight during which I caught on some sleep preparing for the day ahead. Our Chauffeur (Chirag) was already at the airport to receive us, holding a placard with our names on it, he welcomed us with a smile on his face. The weather was awesome and the dark clouds were announcing an impending rain, with a gentle breeze flowing. It was one of a perfect welcome to the Vibrant state Gujarat. Since it was my first visit, I was pretty excited. We drove to Novotel Hotel where Tata Motors had booked our stay. 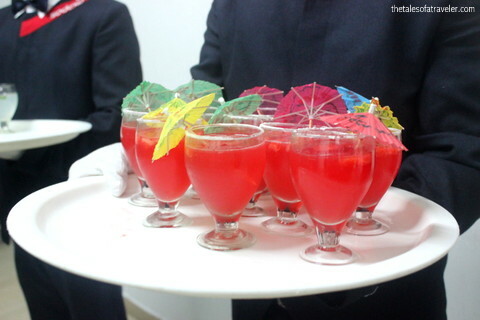 The Novotel Ahmedabad is a fairly new hotel in the city, which started operations in the year 2013. 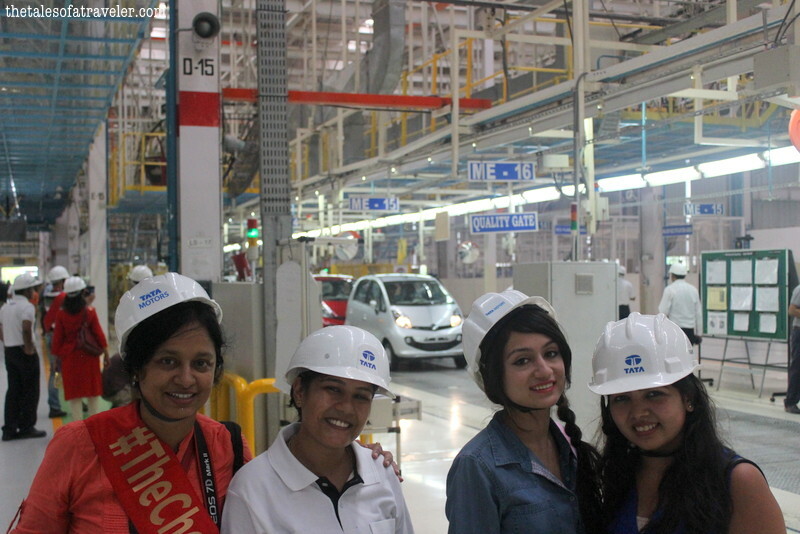 The location of the hotel was perfect to explore the city and also for the visit to the Sanand Plant. The hotel was pretty strict with their security checks. After getting our bags scanned, we went to the hotel reception for the check-in formalities. As we entered the room, we noticed a cap and an envelope that had an invitation for a cocktail dinner party in the evening at 7:00 PM. Since we were quite early for the event and had the entire day to ourselves, we went out for sightseeing and shopping, stay tuned for my next post. After shopping, sightseeing and indulging in a Gujrati Thali, we were back to the hotel by 4:30 PM. I freshened up quickly and charged my phone, camera and laptop and got ready for the cocktail dinner. The dinner was organized at the Crystal Ball Room at the Novotel. The funny and always lively DJ Jose of MTV hosted the event. 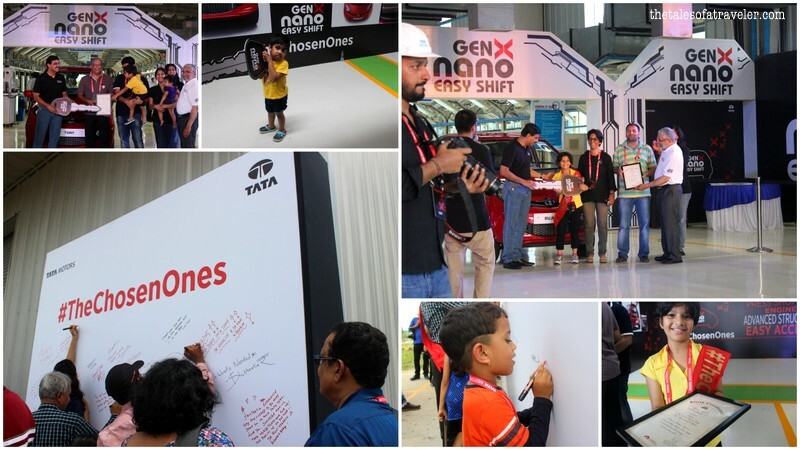 There were a lot of fun activities planned for all of us and an opportunity to interact with families who were the proud owners of Nano cars. 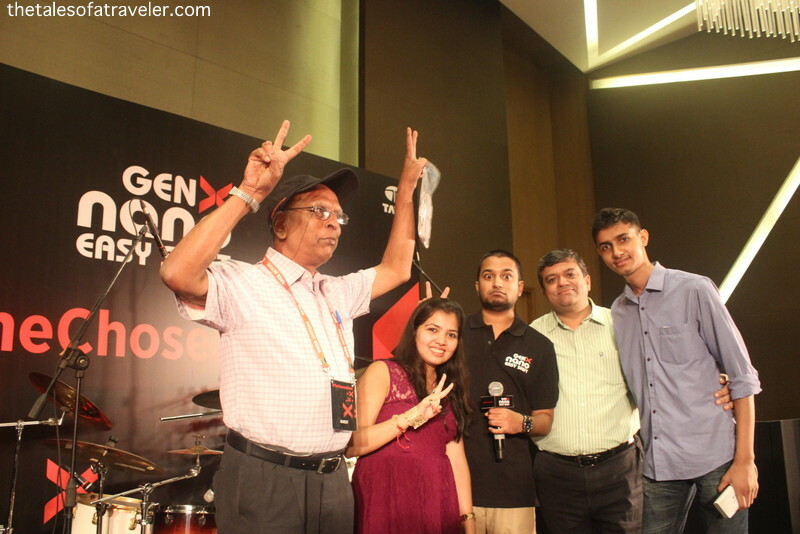 Jose requested the #TheChosenOnes to join him on the stage for a group photograph. After the group picture, the families were asked to pick a coffee mug from a table. This was no ordinary coffee mug, each mug had a caricature and the task was to identify the person whose caricature was printed on the mug. All the families ran towards the table to pick the coffee mug and started searching for the person frantically. During all this fun and madness I was busy capturing videos and photographs, when an old handsome man approached me saying, “ Hey, I found you”, showing me the mug where my caricature was printed. He was so happy because he was the first among all to find his partner. Meanwhile others also found their partner and were given sixty seconds to get to know each other. As we sat down chit chatting about each other I found that he was a retired army officer from Kolkata who was there with his lovely wife and he loves to play cricket and golf. 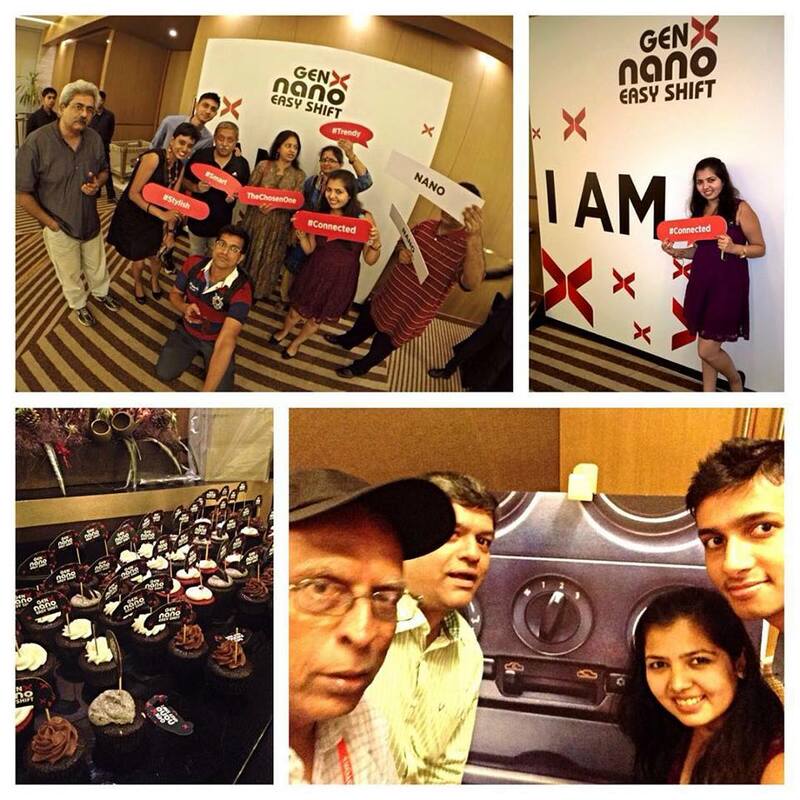 And the new GenXNano was gift to his wife on their 40th anniversary. 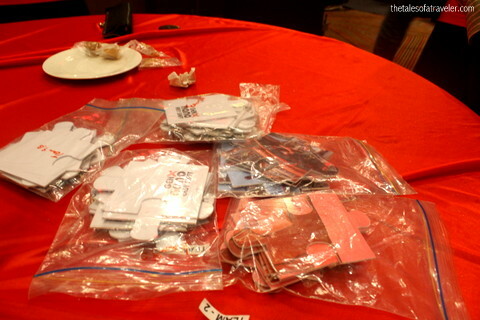 Then the next event began, when all of us were asked to pick a fortune cookie and were formed into groups with the number that each one of us got, I was in the team 9. We were given five jigsaw puzzles to solve and the answers to the puzzles were placed at different corners of the room. Once the puzzle was solved, you had to take a selfie with your group in front of the answer. So once the puzzle was given, the running around and the madness started again. People were trying to take selfies all over the place, trying to fit their entire group into one frame. 🙂 Luckily ours was a small group so we didn’t had any difficulty in taking selfies and my team members were quite excited and thrilled to solve the puzzles. 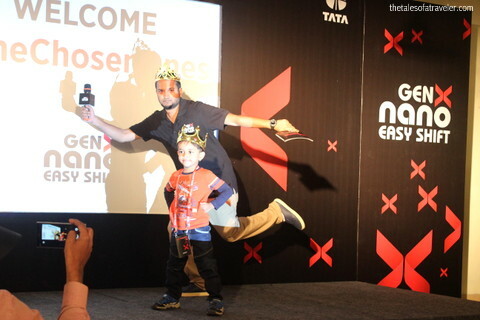 After the break, it was time for the performance by Varun Venkit from Taal. The chairs had been arranged in neat lines and a small drum was placed under everyone’s chair. 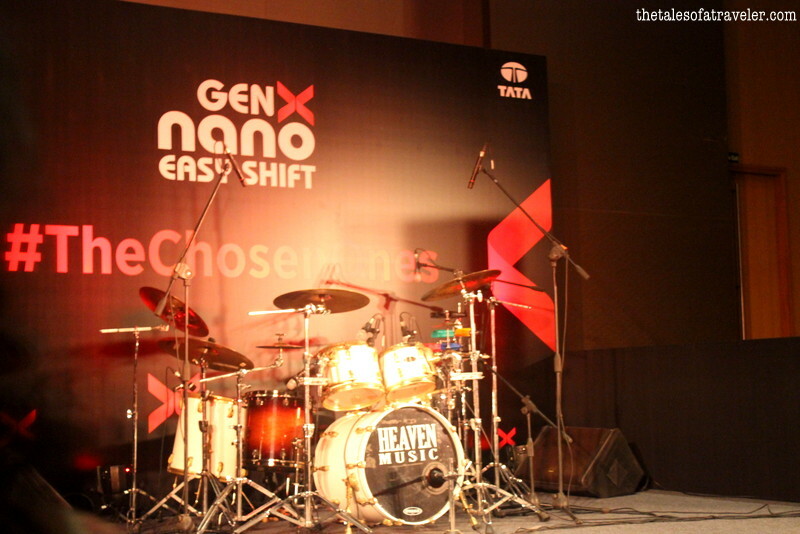 The drummer swept everyone away with the beats and his stunning performance. 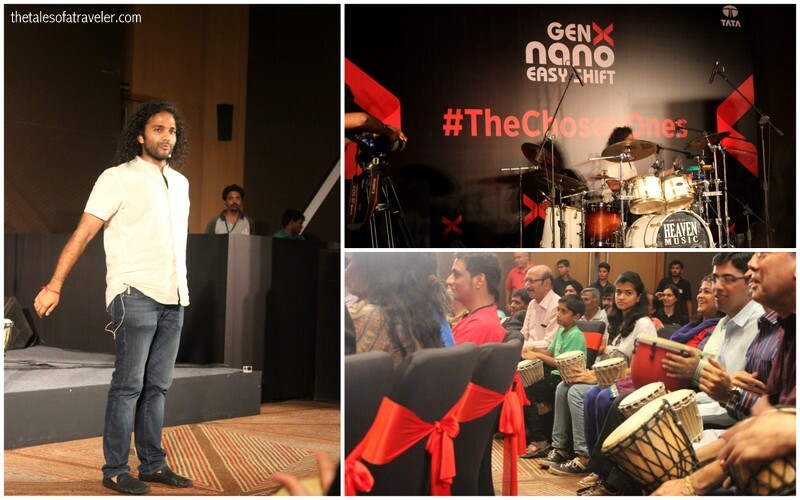 After the performance, he asked everyone to look under their chairs and started giving live lessons on drumming. And everyone was quite excited to follow suit. The enthusiasm of the families was unmatched and unparalleled. Truly everyone had a great time. There was fun, happiness and laughter all around.Finally, the amazing event ended with a fabulous dinner. We were asked to be ready by 8:45 AM, Indrani and I were up and ready by 7 :00 am, we headed for the breakfast area. The breakfast spread was good and varied. It was a perfect mix of Indian and Continental food. 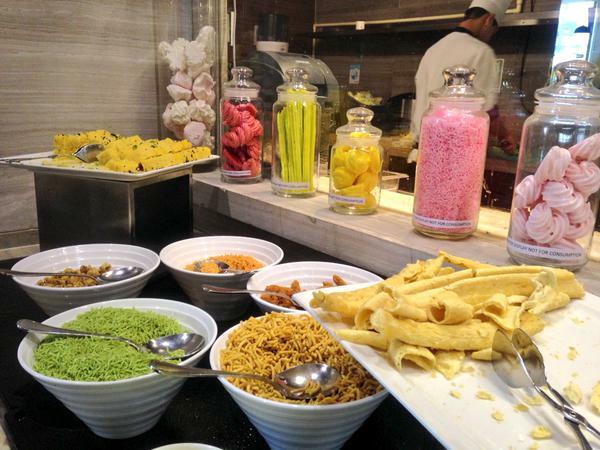 From Dhokla to Dosa, from Chole Bhature to Salads the spread had everything. After having a hearty breakfast, we got into one of the two buses that were arranged for us and headed towards the Sanand plant. 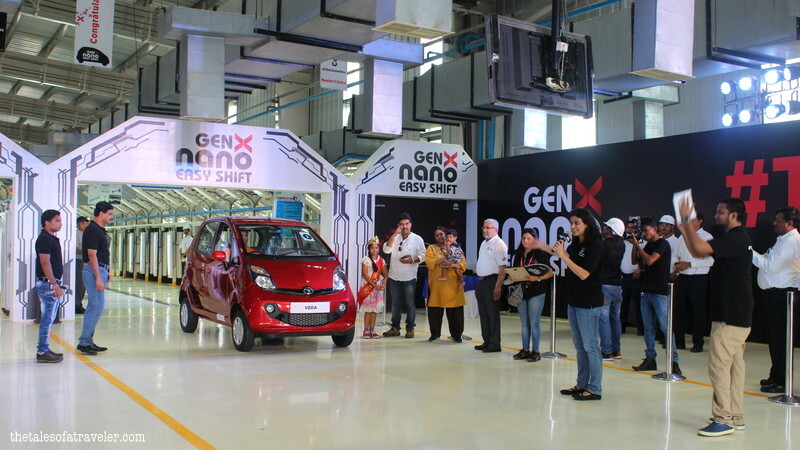 It was for the first time in the world that an automobile manufacturing giant had opened its doors for its customers and bloggers for witnessing the rollout event of the cars. 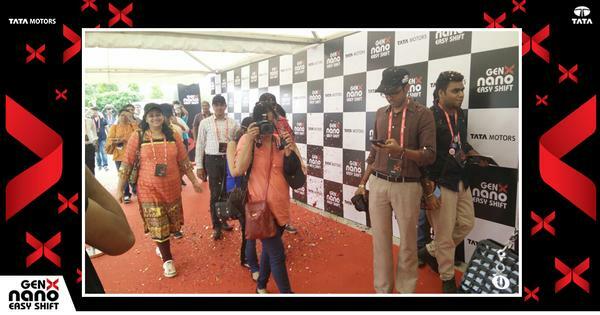 All of us got a red carpet welcome when we reached the plant, the staff were standing on the sides and were bursting party poppers to gives us a glittery welcome. I could see the happiness in each and every family members face. Even the kids were very excited. 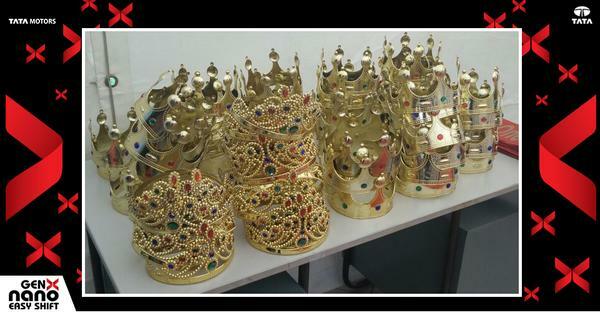 All the ladies were given Tiaras and the guys were given crowns. 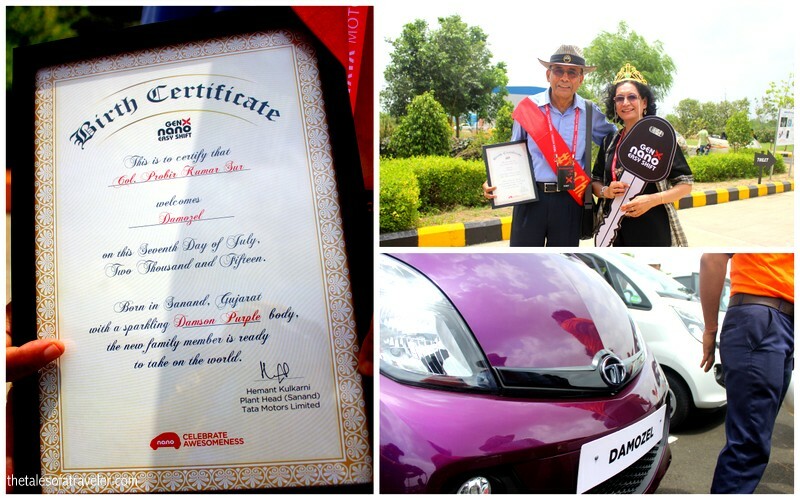 Tata Motors did not leave any stone unturned to make everyone feel special. 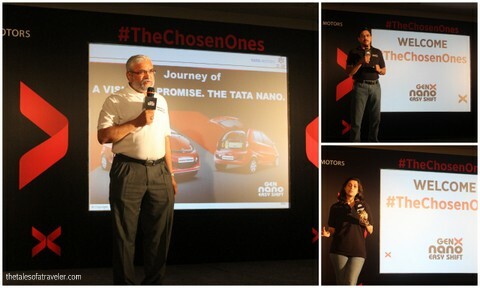 There was a brief introductory session by Mr. Girish Wagh, Senior Vice President about the plant and the cars. We were also shown a video about how the car is manufactured at the world class Sanand facility. 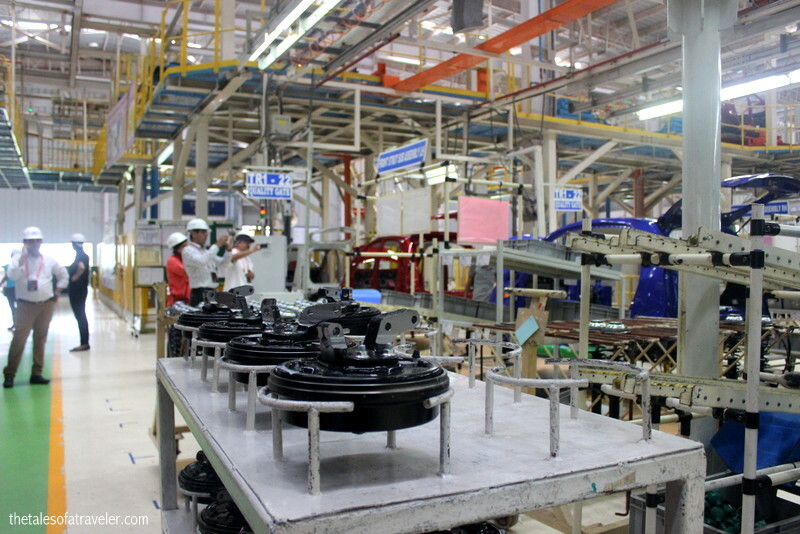 The plant is built on 1100 acres of land which was donated by JRD Tata to the Gujrat government and as destiny would have it, the land was returned to Tata Motors to setup the facility. 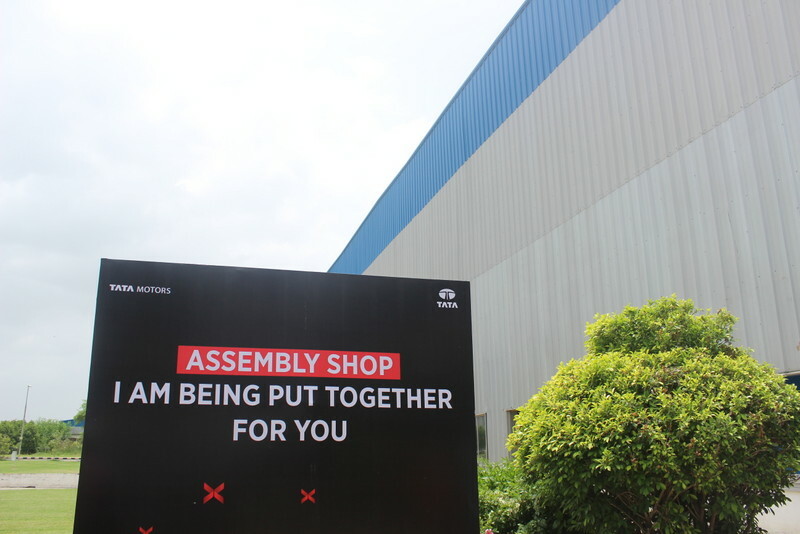 The plant head also informed us that when the land was handed over to Tata Motors, it was a barren land, but now when we saw the facility, there was greenery everywhere. 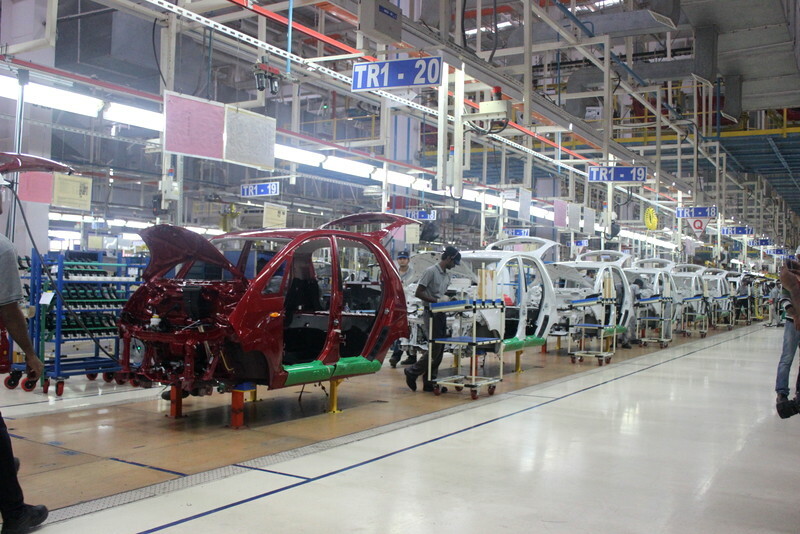 The facility is capable of producing a car every 58 seconds, how cool is that? The facility was supposed to be setup at Singur in West Bengal but due to unrest the plant had to be moved out of West Bengal. That is when everything had to be moved to the Sanand plant overnight, and the plant completed in record time of 14 months. 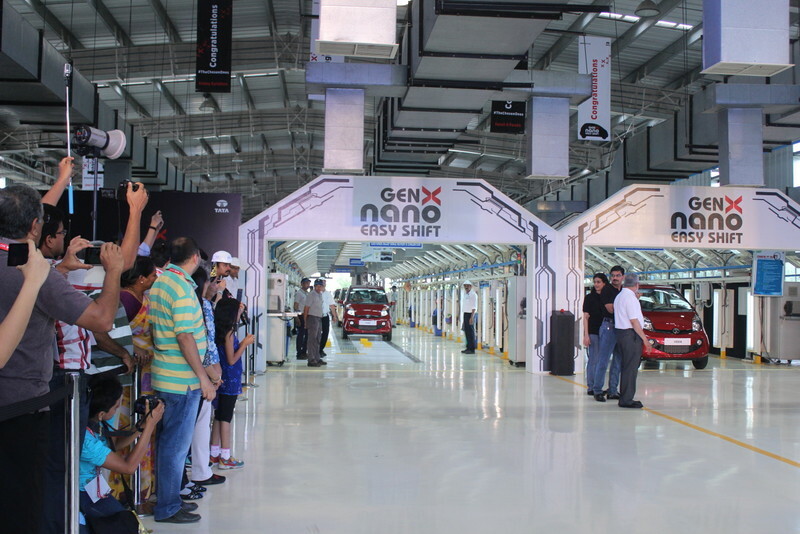 The first Nano was manufactured out of the Pune facility. We were divided into groups of five and a dedicated guide was assigned to each group to brief us about each shop. 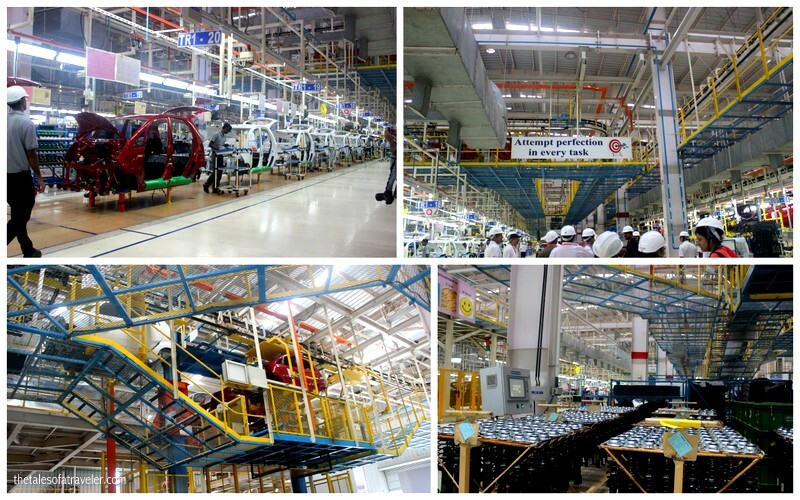 The plant has three main sections – Press Shop, Paint Shop and TCF. At the press shop different pieces of steel are pressed by huge robots to form the different parts of the car. It felt like we had entered into the set of the movie The Transformers while looking at the huge robots. There were in total 130 robots which did different work like welding, bolting, pressing, quality check. Unfortunately photography was not allowed at the Press Shop. Robots would continuously keep a check for errors. The paint shop is a restricted area even for the employees, hence we could not visit the paint shop. The car is applied with three coats of paint so that there is no chance of any dust percolating into the paint. The final stop for the car is the TCF(Trims, Chasis and Filament ) shop where heart of the car –the engine is fitted into the car body and fitted with seats, glasses, steering wheels, AC, tyres etc. Before being delivered to the customers, the car is also tested on different tracks to check its performance on various road conditions like potholes, speed breakers etc. 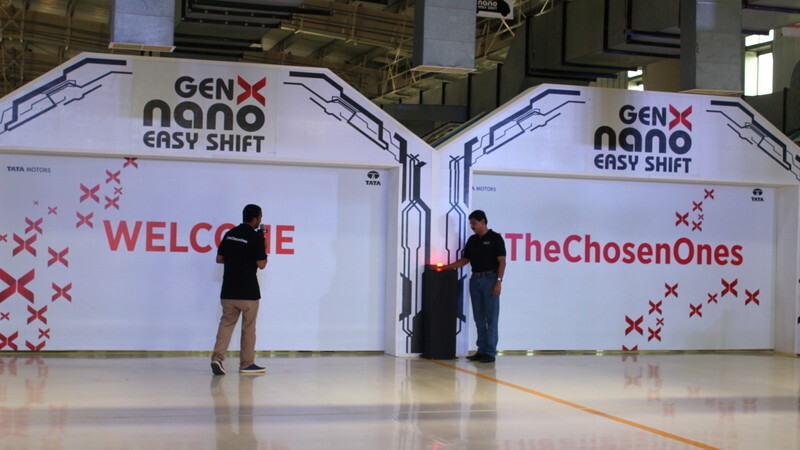 And finally, it was time for the TheChosenOnes to receive their GenXNano. 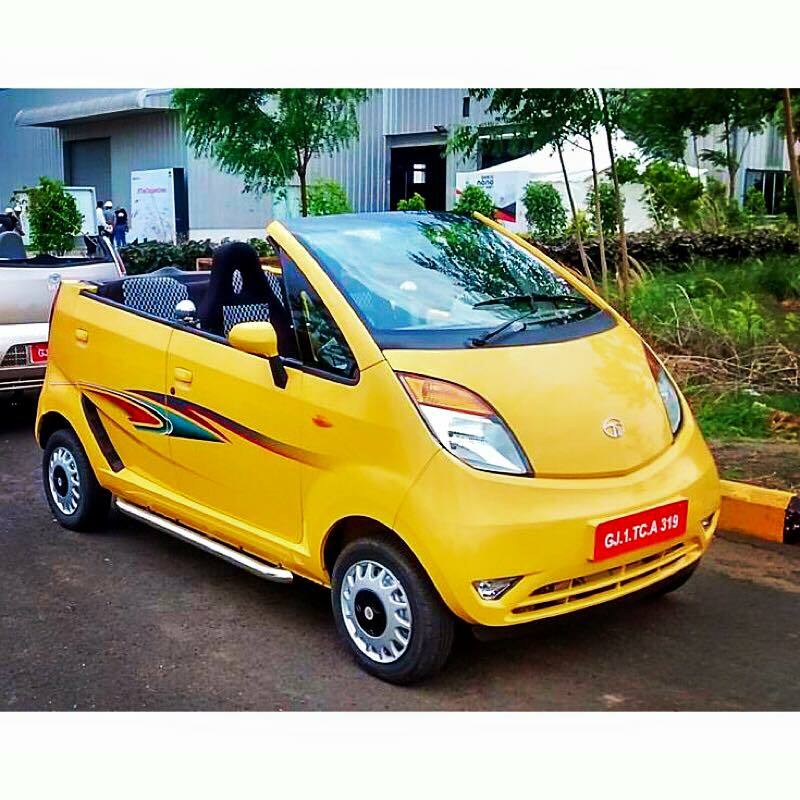 The car was personally handed by Mr.Girish Wagh, Mr. Hemant Kulkarni, and Ms. Delna Avari to their respective owners in a grand way. They even got a birth certificate for their car. Some of the families were quite sentimental with tears in their eyes while receiving the new member of their family. After loads of photo-ops, heartfelt messages and thanks, we were taken to the canteen for lunch. After having sumptuous lunch and amazing time, we were back to our hotel. There were many roofs less as well as one rooftop demo Nano car on display. It was an amazing and unique experience and one of the best trip ever. 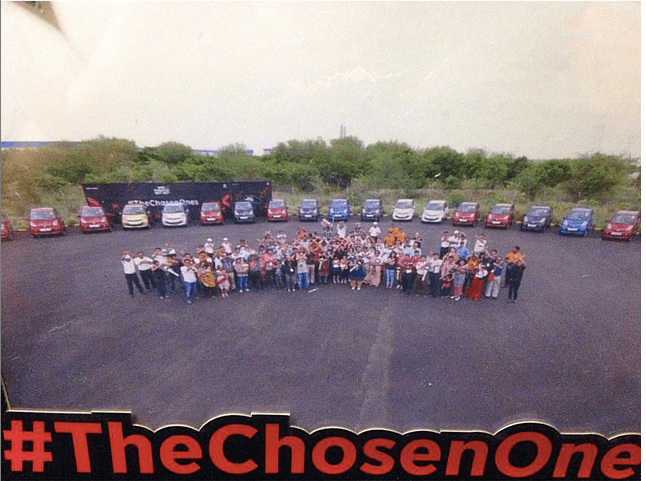 It was indeed an honor to be a part of #TheChosenOnes, thank you Tata Motors for this opportunity and also for bringing happiness to the customers who joined the Tata Family by treating them like kings and queens and making them feel special throughout. Kudos to the entire Wizcraft Team for organizing such a fabulous event. And read about the car here. 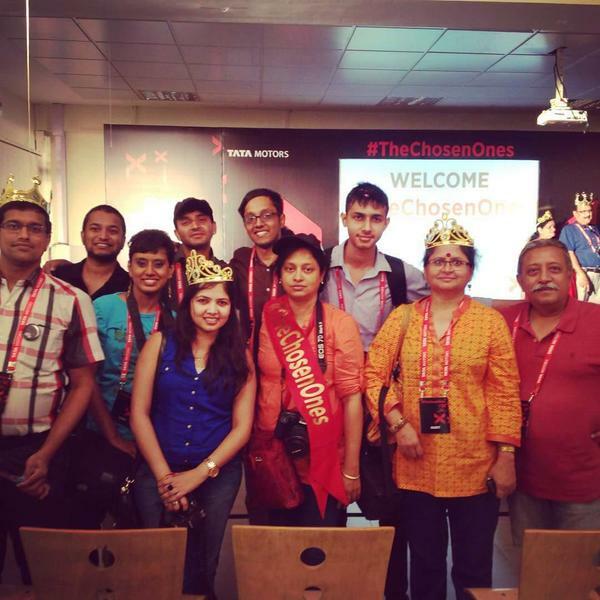 We were one of #TheChosenOne blogger and were invited by Tata Motors  to attend the event. Sounds like a fun event. So many bloggers at the event whom I know! you guys had so much fun 🙂 lovely pics! The event was such a unique one, very well organised and unforgettable for a long time to come.